The holidays are a fun time for everyone in the family, including the dog. Whether a golden retriever, springer spaniel or a beagle, dogs can feed off of your emotions. However, they are also curious animals who may become over excited with visiting guests as well. Follow these to pet safety tips to make sure your furry little friend is safe and sound. Find out what your vet's holiday hours are. This way, if there is an emergency, you know where to go. Dark chocolate and other sweet treats are especially dangerous to your dog's health. Keep them out of reach. Should your pet find their way into the dangerous snacks, you need to induce vomiting. 3% hydrogen peroxide can do the trick. Good rule is 1 tsp per 10 lbs. It's a choking hazard, so be careful. Your Florida homeowners insurance agent will tell you to cover electrical cables. This helps prevent fires, puppies chewing on cords and other damaging issues. Your dog goes where there is water. If there's no water in the bowl, they will go for the water in the tree. That can lead to all sorts of disaster. Hopefully you won't be needing to contact your home insurance agent because the dog set the house on fire by knocking the tree over! Traveling with your pet this year? Include more information into your pet's collar and tag in case they break free. A microchip is the best way to recover a pet. It's inexpensive and your vet can do it. Dogs get cold in the snow too. Sweaters are a good idea for pups with short fur. This can cause kidney failure in pets when consumed. These are just a few of the dog home safety tips to consider this holiday season. 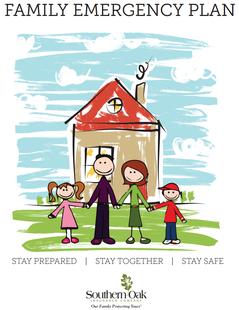 Click here for other tips on Safety for House Guests or Holiday Food Safety. 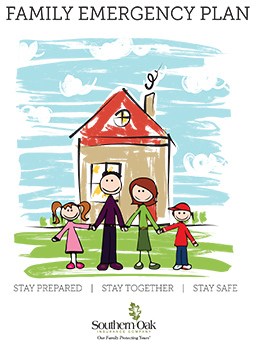 Be sure to keep your family safe all year long and download our Family Emergency Plan here. Get a quote fast using our simple online form. It only takes a few minutes to complete and get your quote. © Southern Oak Insurance Company 2014. All rights reserved.